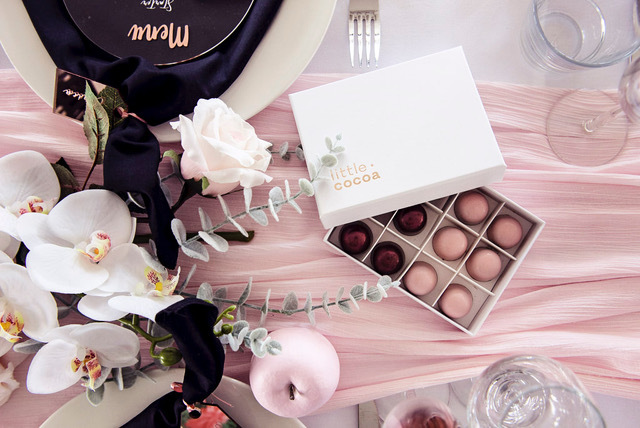 ➳ What can LITTLE COCOA offer a couple for their Wedding day? 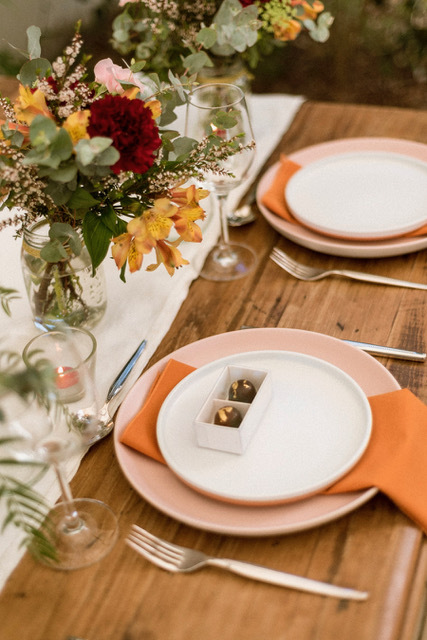 We offer a unique and modern take on bomboniere/wedding favours. 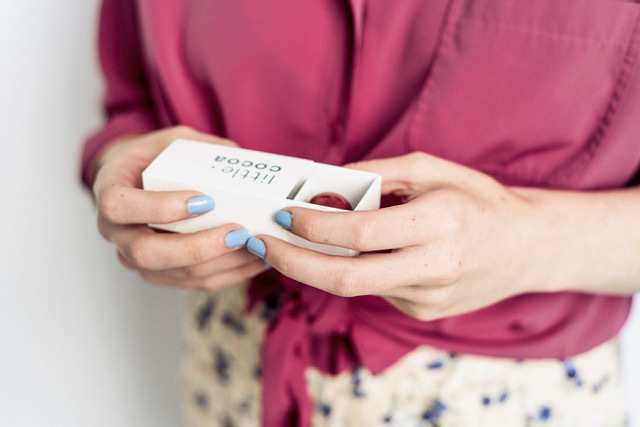 Our standard bomboniere includes two hand-crafted chocolate pralines inside a white gloss box. 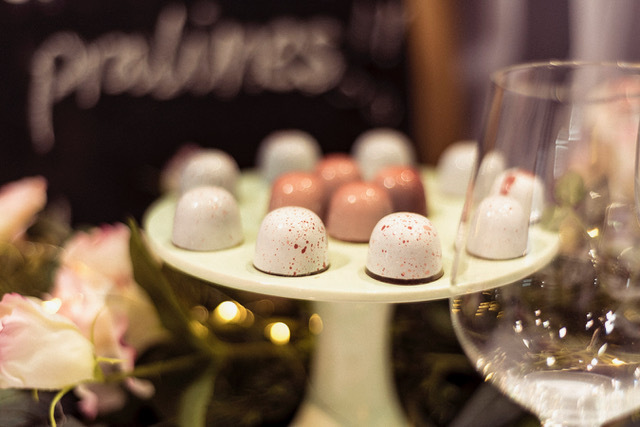 We can also incorporate specific colour and flavour requests, I love experimenting with the look of the chocolates - the splatter of colours on the dark chocolate. 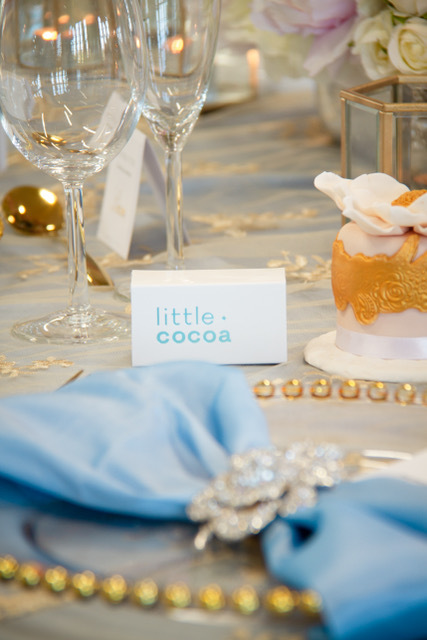 There’s also an option to emboss a special message or the bride & groom's name and wedding date on the top of the box.We can also supply chocolate pralines for use on a dessert table. ➳ What keeps you inspired along the way? 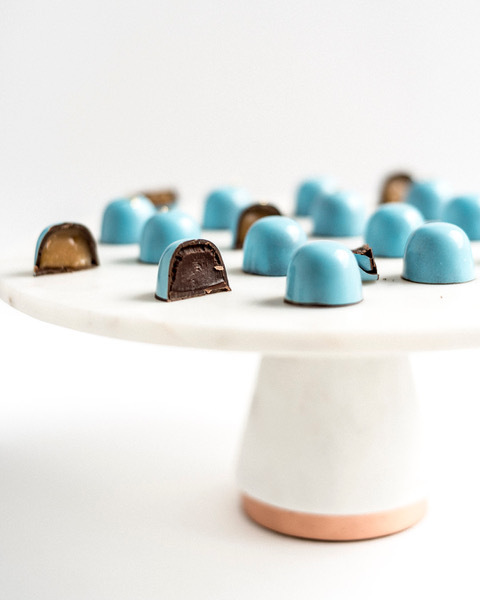 Definitely when I make a batch of chocolate pralines without any flaws (the shell thickness is consistent, the cocoa butter colours are beautiful and overall the praline has a high gloss). But in saying that, that’s exactly what makes them so beautiful, when they are all individual and unique. I also keep inspired when a customer comes to me with a flavour or colour request. I get very excited to get into the kitchen and create it. ➳ Do you have any stories that you would like to share from your experiences? When I was living in Berlin two years ago, I found the most amazing chocolate shop that makes bean to bar chocolate. It was probably the first time I tasted bean to bar or anything like it - it was rich, smooth, cocoa-y and had a fruity aftertaste. 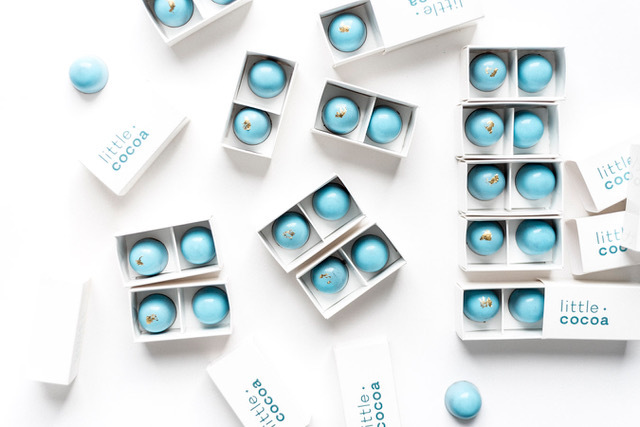 That became my favourite little shop, and part of the reason why I started Little Cocoa. 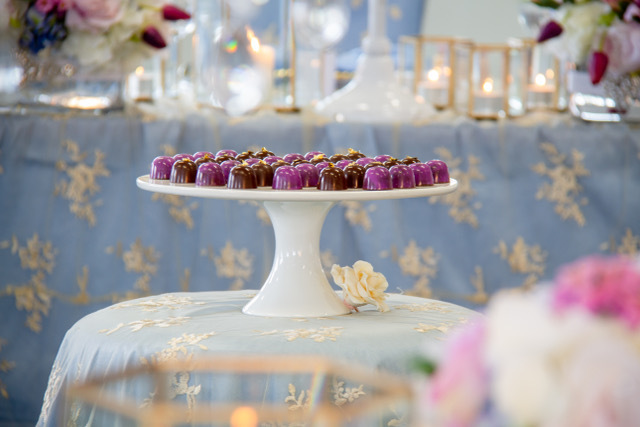 I want to be able to offer an experience like that to all my couples - that they and their guests can be amazed and delighted by an artisanal chocolate product. ➳ Do you have a personal favourite flavour? Anything tangy, and ironically not sweet. 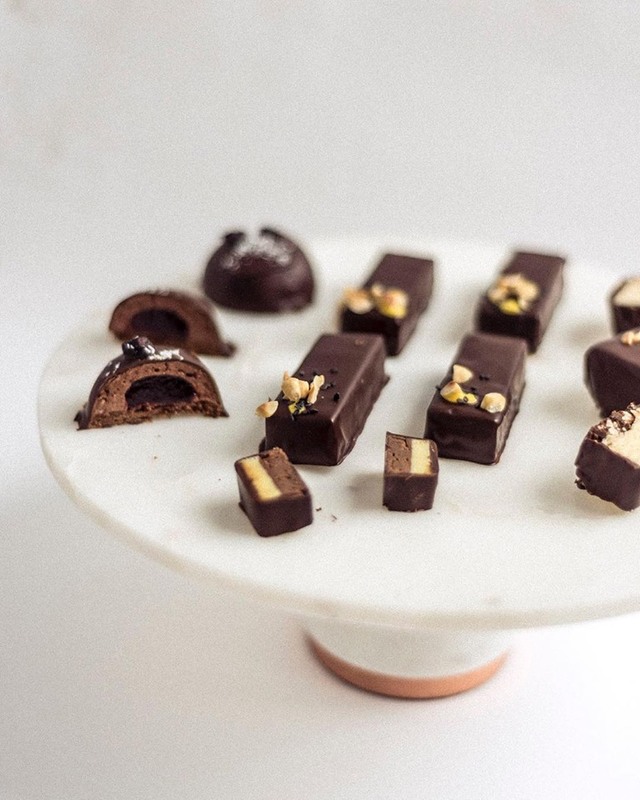 I make a chocolate praline that is filled with a tangy blackcurrant gelee and paired with a dark Vietnamese single origin ganache. I love it. 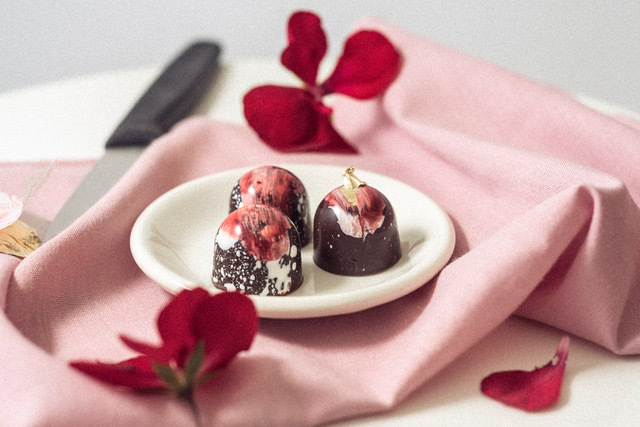 That said, I enjoy experimenting with new flavours, such as a strawberry and lime praline that I’ve created exclusively for our Valentines Day range. 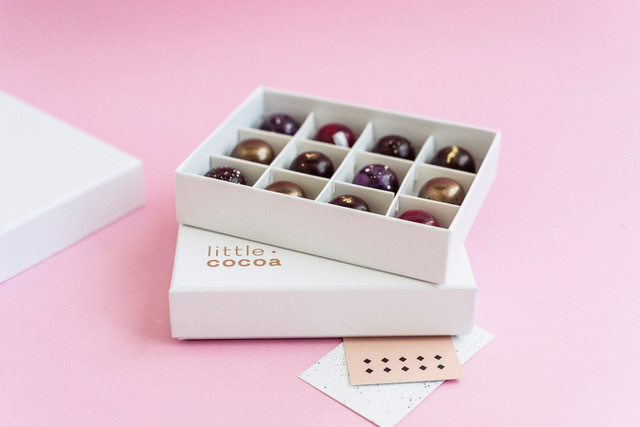 ➳ What is the best part about what you do: 100% when a customer is happy with their chocolates. It’s the best feeling. I may have even shed a little tear when my very first customer sent me a long thank you message and said how much he and his wife loved them.